Doesn’t it sometimes feel like the world is falling apart? We don’t mean to be dramatic but it certainly seems like there is always bad news coming from some direction! Earlier this week, for instance, Unearth the World shared updates about the current crisis in Nicaragua. And many of us have been glued to the news regarding the family separation policy of the United States. When life gets tough, we at Unearth the World try to focus on the beautiful aspects of the work that we do: connecting people from different cultures, planning unique and specialized service programs and building a global community of changemakers. We hope you will join us in our movement by planning a customized international immersion program with us soon! But today, we must also share some news about yet another Unearth the World partner community who has faced a recent challenge. 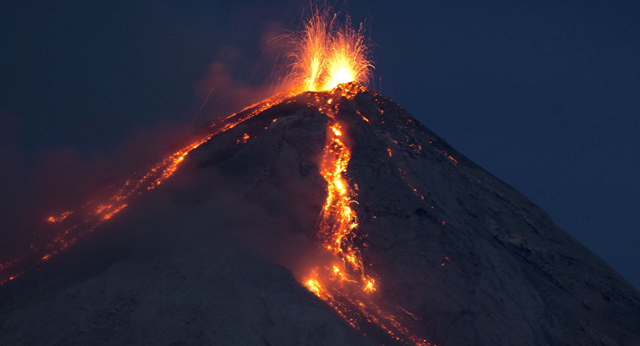 It has been over two weeks since the eruption of Guatemala’s Volcan de Fuego. 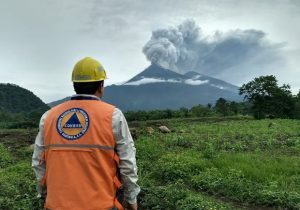 Known as one of the most active volcanos in the world, Volcan de Fuego is located less than 10 miles away from Unearth the World’s Guatemalan partner – a nonprofit that works with coffee farming communities to create economic opportunity that improves the quality of life for farmers, their families, and communities. The eruption left 99 people dead, 197 missing and over 3,000 homeless. According to the national disaster agency, CONRED, it is estimated that 1.7 million people across Guatemala have been affected. This entire situation has been heartbreaking to follow. Yet, despite this immense tragedy, Unearth the World feels so fortunate to know that our partner, their coop members, and families are safe. And unbelievably, the coffee plants have survived and are relatively unaffected despite the layers of hot ash. We are so happy to know that our friends are safe and returning to “life as usual”. However, Unearth the World stands in solidarity with those in Guatemala who have not been so fortunate. For those of you in a position to financially contribute to the victims of this natural disaster, please consider supporting reputable organizations leading the emergency response efforts. Our partner has recommended donating HERE if you feel so compelled. Here’s to unity across countries, love across borders and safety for all.